Meteorite hunting is becoming a popular activity in recent years. 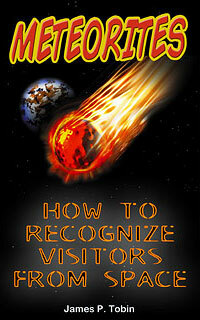 Promoted by wonderful TV programs like the Meteorite Men is a growing outdoor recreation activity. But, where did it start? That is a hard question. For one reason or another, meteorites have always been picked up by man. Originally it was for their iron. Before smelting of iron ore meteorites were the only source of this then precious metal. One or two persons had done it before but until the last couple decades meteorite hunting was the business of a small handful of hearty individuals. Some who hunted for profit selling and trading what they found. Others hunted for the thrill of holding for the first time something that originated beyond the Earth. 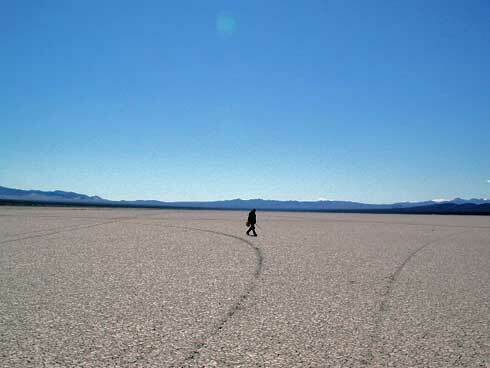 I am sure there are many opinions as to when the new level of meteorite hunting began, but I think it is when Lucerne Dry Lake was hunted in the 1970’s and meteorites were found there. Sooner or later every new hunter in the Southern California area goes there to try their luck and see if maybe there is one more piece for them to be found. After the success there other dry lakes were hunted with more meteorites being found. Why on dry lakes? Meteorites fall everywhere at random but to find them you have to be able to see them and get where they fell. Dry lakes have few rocks on their surface compared to the rest of the desert and they are flat and it is easy to see a long distance. Black and dark brown rock as most meteorites are colored stand out on the light clay colored surface of the dry lakes. 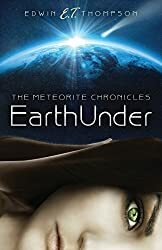 By the 1990’s there was a small army of meteorite hunters heading out to the California, Nevada, and Arizona deserts every chance they could to hunt for these fallen visitors from space. In the early years metal detectors were used for gold and treasure hunting but most iron was considered trash and the detectors were tuned to ignore it. Then someone realized that occasionally the iron responses in their detector was from the iron in a meteorite. One old gold nugget hunting area called Gold Basin became the gathering place for meteorite hunters who could not see their prey as on dry lakes. Over the next years hundreds of metal detectors were swung over the area. Great success at Gold Basin led to discoveries of meteorites at other locations that were old rock covered desert surfaces. Today, a much larger group of enthusiasts is hunting many different areas in search of meteorites.